The Voigtlander Nokton 50mm f/1.2 Aspherical VM lens for Leica M-mount is now available for pre-order at major US stores. The US price is $1,059 at Amazon, B&H, Adorama. The Voigtländer NOKTON 50mm f/1.2 Aspherical VM is a manual focus, M-mount lens that features 8 elements (including dual aspheric-surfaced elements) in 6 groups, all-metal construction, a 52mm filter thread, and a 12-bladed diaphragm designed to render rounded, natural-looking specular highlights when shooting at maximum aperture. 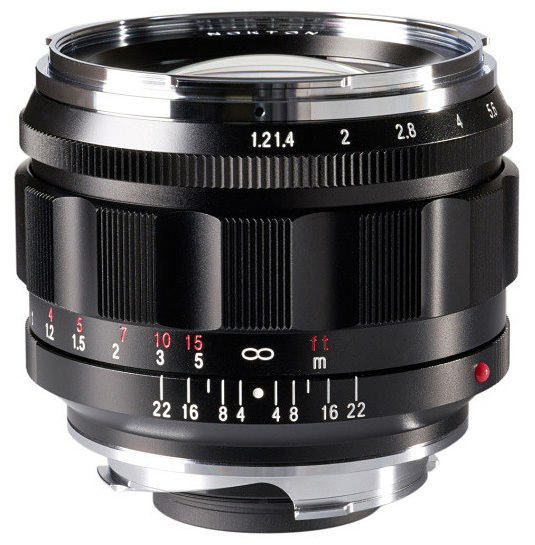 The Voigtländer NOKTON 50mm f/1.2 Aspherical VM is rangefinder-coupled to focus down to 28″ (0.7m), or as close as 18.4″ when used with a Voigtländer VM-E Close-focus Adapter on a Sony E-mount camera. Read more at B&H Photo.